This chapter describes how B.C. 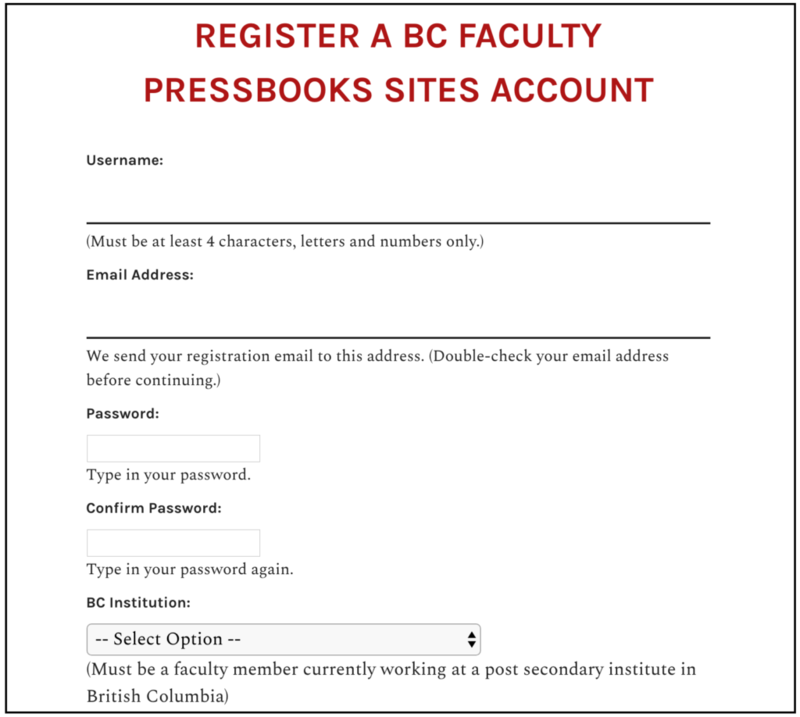 post-secondary faculty and staff can create and manage an account with the BCcampus self-serve instance of Pressbooks. You are asked to contact BCcampus Support if you have questions. For more information, see User Profile in the Pressbooks User Guide. BCcampus purges Pressbooks accounts that have been inactive for 12 months or longer and do not contain an active textbook. If an account contains private books, the BCcampus Helpdesk will contact the account owner with the email address used during account creation to inquire about the account and books. At the bottom of this web page, notice a dark blue banner identified by the BCcampus OpenEd logo with links to “About” Pressbooks and “Help” for Pressbooks (circled in light green). These links will redirect you to information specific to this BCcampus instance of Pressbooks. The black banner at the very bottom of the page is marked by “Powered by Pressbooks” and circled in light blue. 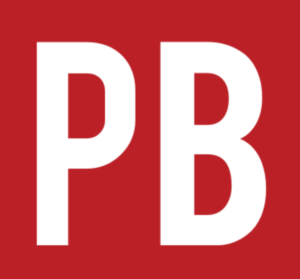 These links redirect you to information and help provided by Pressbooks.com, the organization that developed this platform. If you need help, use the BCcampus help links and not those that redirect to Pressbooks.com. Pressbooks Accounts by Lauri M. Aesoph is licensed under a Creative Commons Attribution 4.0 International License, except where otherwise noted.